Margaret A. “Marge” Zumpano, 84, of Mingo Junction, Ohio, passed away Wednesday January 23, 2019 in her home. She was born October 10, 1934 in Mingo Junction, Ohio a daughter of the late Michael and Anne (Kucer) Verba. Marge was retired from the College of Steubenville where she was a secretary. She was a member of St. Agnes Catholic Church. Marge enjoyed cooking, baking, card club, and playing bunco. Her favorite thing to do was to travel to the beaches of the East coast and spend time at her home in Myrtle Beach. Surviving are her husband of 60 years, Vincent R. “Vince” Zumpano, whom she married September 13, 1958; two daughters, Michelle “Shelly” (Eugene) McKitrick of Mingo Junction, OH and Tamara "Tammy" (Ralph) Durante of Follansbee, WV; and her beloved grandson, Chad Durante. The family would like to thank the caregivers that have taken care of both of Marge and Vince this past year so they could stay in their own home. Friends will be received on Sunday from 3-8 p.m. at the Wheeler Funeral Home, 101 Longview Ave., Mingo Junction. On Monday there will be viewing at St. Agnes Catholic Church from 9:00 a.m. until the time of her Funeral Liturgy with Mass at 10:00 a.m., with Rev. Fr. James M. Dunfee, as celebrant. Interment will follow at Oakland Cemetery in Mingo Junction, OH. 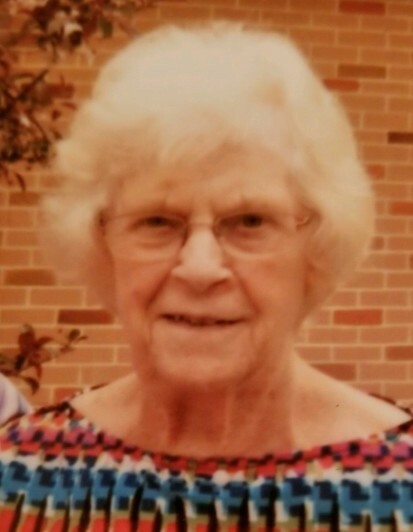 There will be a Vigil service on Sunday at 7:45 p.m.
Memorial contributions may be directed in Marge’s memory to St. Agnes Catholic Church, 204 St. Clair Ave., Mingo Junction, OH 43938.